A nodule biopsy is performed from a 70-year-old woman’s arm. 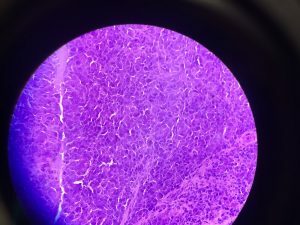 The histology is shown here. What is the diagnosis best stained with?